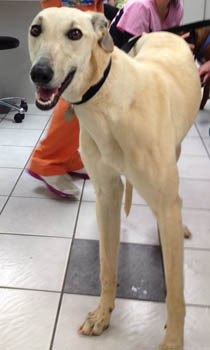 Goldie is a 1-year-old smooth-coated staghound female born January 27, 2012. 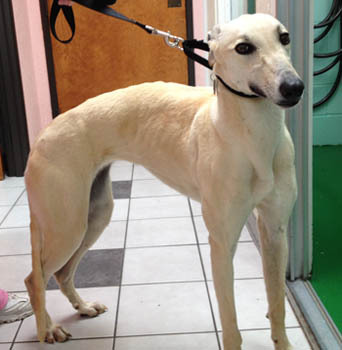 She is a beautiful light fawn color. 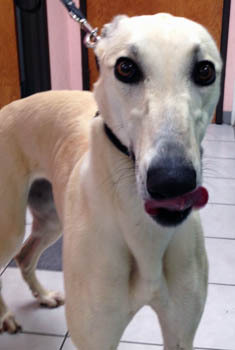 She arrived from a hunting farm in Oklahoma, however Goldie was never trained nor used hunting. She is very, very friendly and people oriented! Goldie has not yet been tested with cats or small animals.